Are you looking for a solution for how to recover permanently deleted files (Shift + Delete) in Windows 10 as well as previous editions of Windows OS then you are at the right place. In this article we are describing 3 different methods to recover permanently deleted files. You can use any manual as well as automatic technique to complete your desired task in easiest way. Many times, while working users permanently delete their crucial data instead of deleting simply. Due to this, they face numerous of issues and even it creates hurdle in the workflow. As to get back the Shift delete data is quiet difficult or sometimes not at all possible. Do not worry! We have come up with free methods to recover permanently deleted files (Shift +Del) in Windows 10. Read further to know more about the issue faced by users, and way to get back the lost data. Most of the time users keep on searching how to recover permanently deleted data from Windows 10, 8, 7, etc. However, the actual thing is that Shift Deleted data is not actually deleted. There are the pointers and indexes that are removed. When they are removed, its spaces are marked as vacant for reuse. Furthermore, users can simply overwrite all those files by using new files. Thus, it is important to utilize an effective solution for data recovery that helps to regain it. There is an in-built feature in Windows 10 system, i.e. File History. It is a freeware Backup and Restore permits you to get back the older version of lost/deleted files. Follow the given steps to get back the data. Choosethe desired folder by simply doing right-click. It requires the complete technical knowledge to execute the process as one wrong step can lead to data loss situation. 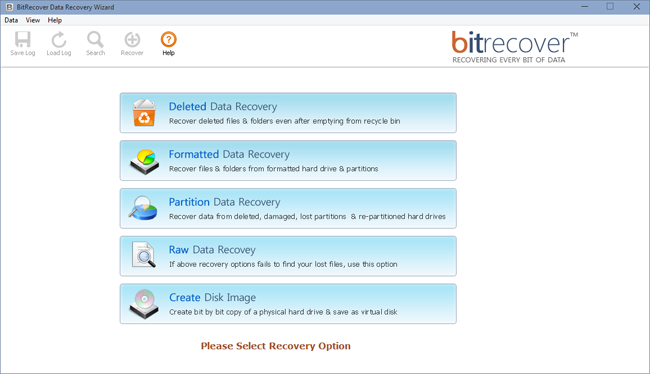 To overcome the issues faced by the above methods there is solution namely BitRecover Data Recovery Software. The application is completely safe as well as secure to utilize. The application is counted amongst one of the finest software solutions that offer a guaranteed process to restore Windows data. Your data is kept retained throughout the process of recovery whereas the assurance of keeping the data integrity as it is of provisioned. The software has been built with in-numerous number of technicalities that offer a sound and completely accurate process of recovering data. The application comes up with free of cost demo version that makes easy for users to understand the complete functionality of tool. However, it has some limitation that it will only preview the recovered data. If you want to save the recovered data then, it is important to buy the licensed version of tool from the official website. The software lets you recover and restore unlimited number of files in exact form. The application restores all kind of data whether it is a document, image, video, etc. Success rate of recovery served is high with the respective application so that you get satisfactory results. Data recovery Windows served by the software is divided in five segments; deleted data recovery, formatted data recovery, partition data recovery, raw data recovery, and create disk image. This way you can overcome all inaccessibility causing issues related to your data. 100% secure and safe to utilize on any Windows versions whether it is Windows 10, 8.1, 8, 7, Vista, XP, etc. Allows selective or bulk data recovery in one go. There are plenty of reasons that are responsible for corrupting/deletion of data. This sort of situations may land you in a drastic situation. In the above-discussion, we have come up with free solutions to recover permanently deleted files (Shift +Del) in Windows 10.